Don't let winter slow you down, traveler. You can play it cool in Humboldt this time of year. Hone hunting skills in search of giant trees and whales or tiny semi-precious stones. Unwind with spirits, jazz and Creole food. Strum along with celebrated luthiers. Get on point with Russian dancers and symphonic players. For a grand finale, turn your kids into treehouse village people, or just leave them the SCRAPs, which we promise they will enjoy. 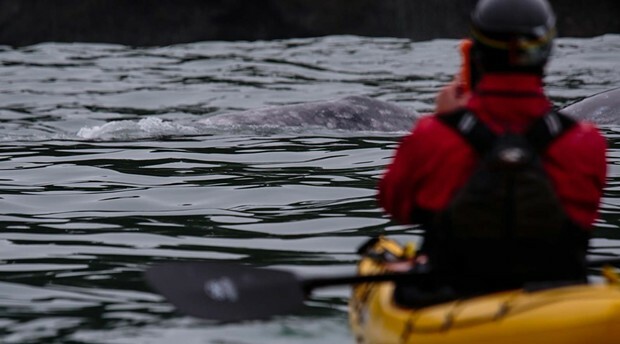 Want to bring home a whale of a story? 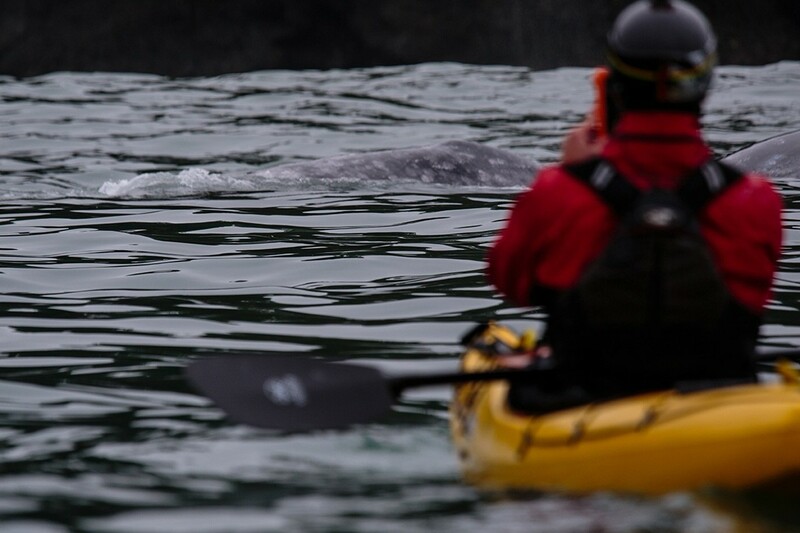 On a clear and calm day (mornings are best), take your binoculars to one of the migratory watching hot spots along the Humboldt coast and scan the Pacific for grays, humpbacks and occasional orcas as they do their seasonal yoyo dance between Mexican and Arctic waters. 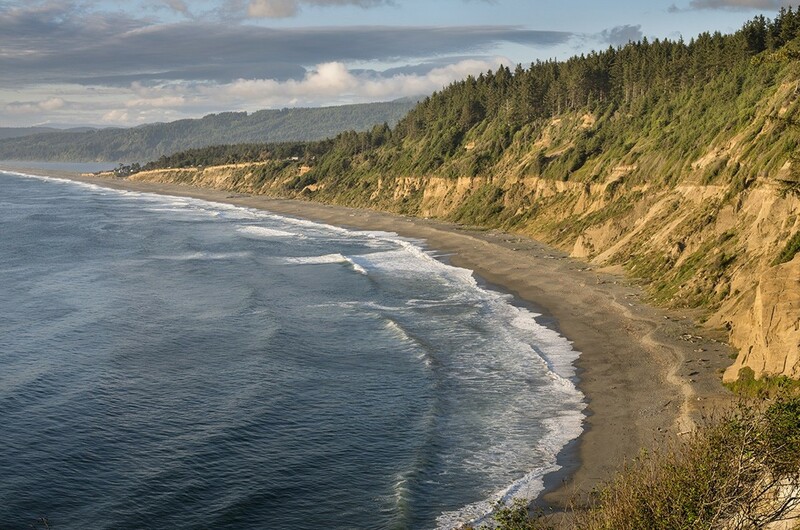 They head north in late winter and spring, and prime viewing locations — high cliffs jutting out from the coast — include Table Bluff near Loleta, Trinidad Head and Patrick's Point just south of Redwood National Park. Look for the blow, the puff of exhaling vapor streaming up to 12 feet above the water. Where there is one blow, others are sure to follow. For a closer look at the migrating cetacean monsters, go on a boat with E & D Charters (707-498-1355) or a guided kayak trip with Kayak Trinidad (707-329-0085) out of Trinidad Harbor or Pacific Outfitters (707-443-6328). In Redwood National Park, the popular Lady Bird Johnson Grove east of Orick gets tons of foot traffic but some hardy hikers drive a few miles farther east on Bald Hills Road, then down a winding dirt road to the trailhead for Tall Trees Grove, which leads to a much more beautiful stand of old growth giants. Look up at these towering sentinels along the alluvial flat of Redwood Creek, some approaching 2,000 years in age, and prepare to stop in your tracks, dumbstruck, maybe even weeping. A few botanical bushwackers go off trail in search of nearby Hyperion, currently crowned tallest living thing, but consider the Tall Trees Grove the more moving experience. Notables in the grove include the Libby Tree, once the world's tallest, whose discovery led to the creation of Redwood National Park in 1968. There's also Nugget, which now stands taller than Libby, and Melkor, the most massive tree in the park. 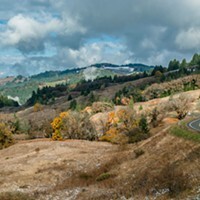 Give yourself at least half a day for the roundtrip from the Thomas Kuchel Visitor Center (707-465-7765, 119441 U.S. Highway 101, Orick) where one must get the required day-pass (free) to access the trailhead road. Agate Beach, a few miles north of Trinidad, draws rock hounds from all over the country, scooping up rainbows of semi-precious stones along the pebbly strand. Bring a bucket to bag some yourself, especially the prized golden translucent ones. To reach Agate Beach go to Patrick's Point State Park (4150 Patricks Point Drive, Trinidad; 707-677-3570), but other spots farther north offer rewarding picking, especially the beaches of Dry Lagoon and Big Lagoon. Low tide is best, especially after winter storms. Be mindful that the ocean has strong undercurrents and sometimes unpredictable waves in these environs. 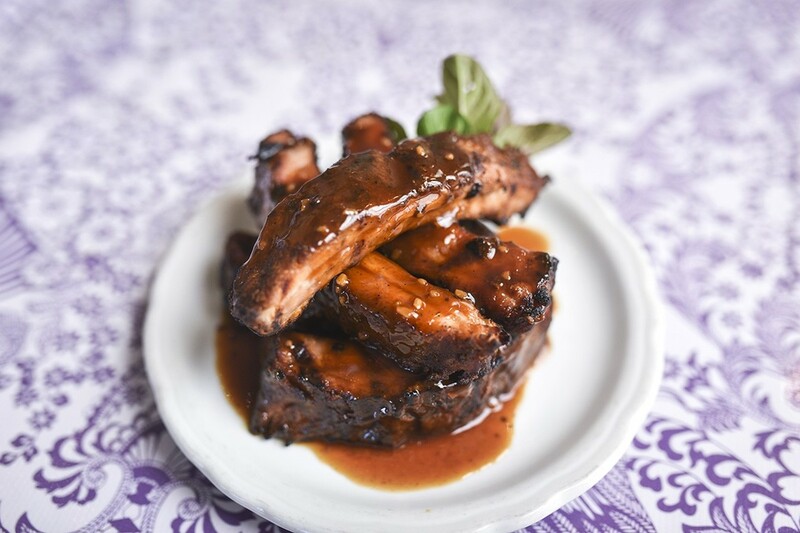 Ribs at Bless My Soul Café. Should you walk through Old Town Eureka in the evening and hear an enchanting saxophone riff in the distance, follow the sound and chances are it will lead you to the SpeakEasy, a small, elegant nightclub at the E Street entrance to Opera Alley (707-444-2244, closed Sundays). This New Orleans-inspired blues bar, which specializes in tasty martinis and a wide selection of craft beers, hosts a variety of eclectic house bands — often jazz combos — that intermingle casually with the audience. It's actually unavoidable since the tables are feet away from the players. Be careful or you might find yourself singing or playing with the band in an unrehearsed cameo. They don't mind. Completely random but important factoid: Readers of the local North Coast Journal weekly regularly give the club awards for "best bathrooms," for the unusual but endearing art and décor. When Blues legend Taj Mahal passes through Humboldt, he stops at his favorite restaurant Bless My Soul Café (29 W Fifth St., Eureka, 707-443-1090, closed Sundays), a welcoming, laid back house in downtown Eureka, where Marie Janisse has perfected Creole fusion cuisine, barbecue and traditional Southern fare. Humboldt native and TV star chef Guy Fieri can't resist dining with Sweet Mama Janisse, either, when he visits. Janisse has spiced things up in California for decades, having been the caterer for the Los Angeles Lakers and the inspiration for Neil Young's "Cinnamon Girl." To take home a memory of your dinner (the café is not open for lunch), pick up one of her award-winning hot sauces. Whether for hot drinks, haunted tours or hip happenings, Old Town Coffee & Chocolates (211 F St., Eureka, 707-445-8600) serves as a de facto evening meeting spot. After spooling up on truffles, Mexican mocha, blended iced chai, or something more conventional like soup or sandwich, you can line up to do the Eureka Ghost Tour (call 707-672-5012 to check the schedule or reserve a spot), or hunker down in the corner of the café for a night of free poetry or live music. Grab the spotlight yourself on Thursdays when it hosts open mic. Bonus related factoid: OTCC recently opened a second location 2 miles south, also on F Street, on the corner of Henderson Avenue (707-442-1522), in Henderson Center, a pleasant pedestrian-friendly business district where non-locals rarely venture. Luthier Steve Helgeson has been making fine custom acoustic, electric and bass guitars for more than four decades. He honed his craft repairing guitars in Moonstone Heights, a wooded coastal paradise near Trinidad that's peopled by musicians, hippies and a neighbor in a three-story redwood stump house. Since then, his works have been strummed by legends of rock such as Prince and Greg Allman, who hosted Helgeson at the Westwood Marquis in Los Angeles for a marathon four-day party before getting around to writing an endorsement of Moonstone Guitars, the original purpose of the trip. Today Helgeson plies his trade in a more Hobbit-like setting, his cozy home and workshop in the woods near Eureka, accompanied by his rambunctious standard poodle Champ. Nevertheless, his art remains cutting edge crazy good. Stunning Brazilian rosewood guitars hang in various stages of completion around the shop, some inlaid with fantastical shapes of birds and dragons in mother of pearl, or hand-painted by a noted abstract painter. Interested in purchasing one or needing a guitar repair? Call for an appointment (707-445-9045). Some fathers and sons, wanting to spend more time together, take up fishing or hunting. Others, like Jack and John Reed, wind up building guitars that sell to chart-topping musicians for thousands of dollars. Co-owners and crafters of Ronin Guitars, they perform their musical magic out of a small shop in Old Town Eureka. The secret of their success? They use only the finest reclaimed old growth redwood, which provides excellent tonal dynamics, balanced weight and vintage aesthetic appeal. Years ago, Jack, a one-time band manager and hobby woodworker, built an acoustic guitar for his son, John, then a bassist in a New York band. It was made entirely out of redwood, something unheard of at the time, from the family's Humboldt homestead. Soon John and Izzy Lugo, a guitar repair wiz in New York, moved to Eureka and Ronin Guitars began its improbable ascent into luthier lore, transforming old bridge posts and wine barrels into popular guitars dubbed Badmoons, Stormcrows, Morningbirds and Miraris. YouTube Ronin Guitars to see and hear the impressive redwood reverberations. Keith Urban is a believer — his latest commission is an electric Phoenix model. Poke your head through the gate at the corner of Second and C streets, and you might get an invite to have a look inside. Otherwise, visit by appointment (707-798-6052). Banjos, the quintessential American folk instruments, began eons ago as humble gourds with strings in West Africa. After slaves brought them over the Atlantic in the 1700s, they became more complex and took to the stage in minstrel shows and in folk and bluegrass music. In recent years, they evolved again in Blue Lake, California, a small village in the Mad River valley east of Arcata a few miles, where Colin Vance of Vance Banjos creates works of genius in sound and style in a little wooden shop on his homestead. 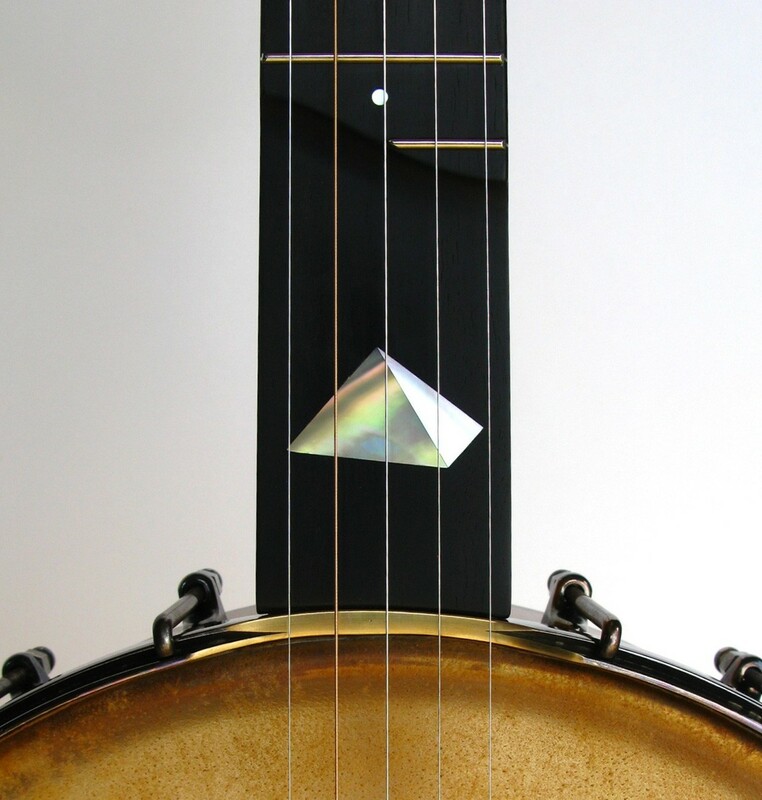 Vance, who makes banjos that are open-backs, resonators, even ukuleles and mandolins, is one of only a handful of U.S. crafters filmed for the North American Banjo Builder Series, which is housed in the Smithsonian Folkways collection. Besides being noted for their tonal excellence, his instruments often demonstrate an artistic flair rarely seen in his line of work. Some are inlaid with beautiful ammonite fossils. Some are dotted with unusual inlaid images, like exotic birds or pigs. He also innovates as an engineer, using magnets rather than screws for truss rod covers, for example. Call if you'd like to see what's in stock or what he can make custom for you (707-845-9524). Hitting notes at Redwood Discovery Museum. 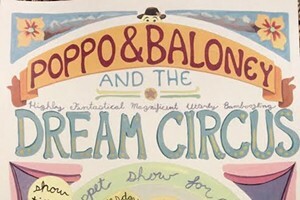 Imagine 3,000 square feet of old-fashioned amusements, crammed with stuff that kids really love — not plastic toys wrapped in layers and layers of more plastic — in many cases, basic household items that have charmed playful younglings for generations: buttons, fabric scraps, bottle caps, hats, magnets and such. Well, such a place exists: SCRAP Humboldt (101 H St., Arcata, closed Sundays, 707-822-2452), a creative nonprofit recycling and upcycling retail space in Arcata that caters to the frugally fun crowd. The youngest customers gravitate to giant bins of bingo chips, playing cards and miscellaneous puzzle pieces they can buy by the scoop, or a big box of old color slides, fascinated by the archaic technology and puzzling subjects encased therein. Got a little time? Register your child for a SCRAP class or pick up a pre-made scrap kit for kids. In the meantime, the grownups find many useful items inside, whether old light fixtures and frames, croquet hooks and knitting needles, or found-art jewelry and cans of wood stain finish. You've likely heard the wise saying that music and math go hand in hand — so much so that, for example, tots practicing the piano will do better on their arithmetic tests. There's one place in downtown Eureka where you can conduct an experiment on the matter, the Redwood Discovery Museum (612 G St., Eureka, Closed Mondays, 707-443-9694). 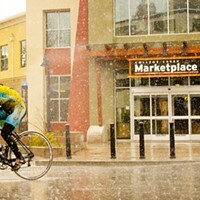 Teeming with hands-on science demonstrations that vibrate, spin, careen, deluge and launch endless objects and imaginations, the downtown Eureka storefront delivers hours of fun, rain or shine. Oh yeah, the music part. 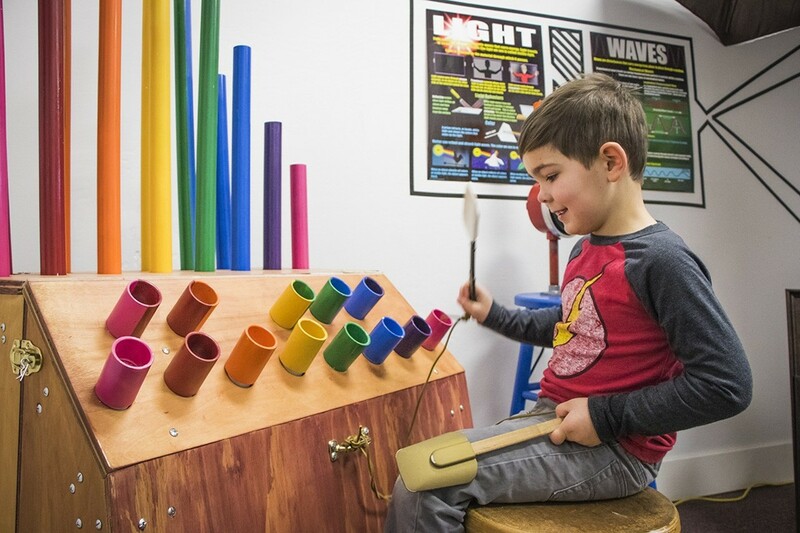 The most popular exhibits among the mini-lab rats include those that (big shock) make lots of noise: wood and metal xylophones, a guitar that records audio waves live on a televised screen, a giant disk with a metal coil that generates sounds like sci-fi space ships, and a makeshift organ with PVC pipes, played with rubber spatulas. Careful. If you and the little ones pay attention, great leaps in scientific knowledge and their underlying mathematical premises may take place. Hobbits in Middle Earth generally live inside dirt hills but if they were to get uppity in this world, they would no doubt dwell in hollowed out redwoods like those next to the Shrine Drive Thru Tree (13708 Avenue of the Giants, Myers Flat, 707-943-1975). The twin tree towers that comprise the treehouse village each have two stories, artfully carved windows, doors and stairs that are perfect for photo ops for folk tale lovers of all ages. Bonus kitsch side attractions on site: A drive-on log and kids' walk thru tree. Eureka Symphony at the Arkley Center. Originally a vaudeville and silent movie house, the Arkley Center for Performing Arts has a complete schedule today that hosts accomplished local performers like the Eureka Symphony and internationally recognized ones like the Moscow Festival Ballet. 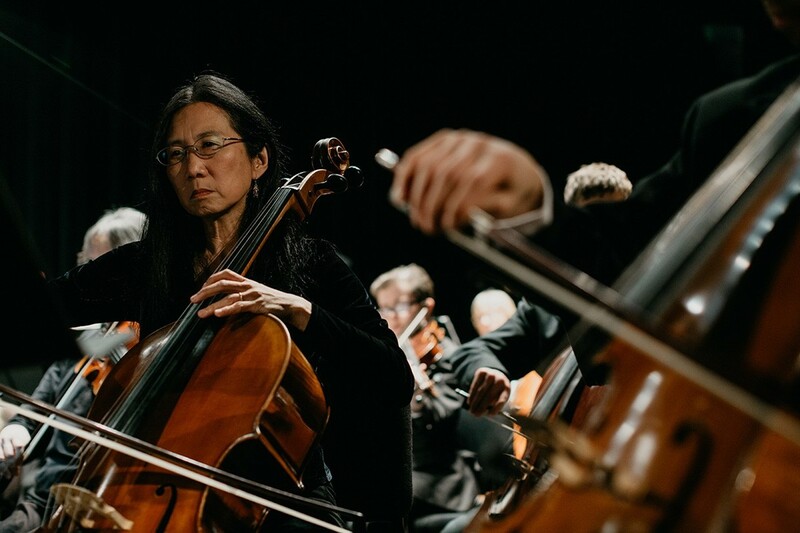 Led by Carol Jacobson, who studied at the Royal Danish Conservatory and played cello for the Netherlands National Ballet Orchestra, the symphony is composed of 50-plus members, many of them future or former professional musicians. Their ranks also include teachers, doctors, professors, retirees and students. The group has an ambitious early 2018 season on tap. 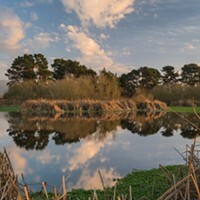 (Editor's note: See here for upcoming events at the Arkley, and see here for Eureka Symphony's upcoming performances.) On March 2 and 3, they perform Vivaldi's Symphony in C and Dvořák's Symphony No. 3; on April 13 and 14, Chopin's Piano Concerto No. 2, Tchaikovsky's Romeo and Juliet, and excerpts from Bernstein's West Side Story; on May 18 and 19, Cherubini's Requiem No. 1 in C minor with Eureka Symphony Chorus. More 2018 performances are in the works, too. On Feb. 10, the center, a beautifully restored Spanish Colonial Revival landmark in Old Town, colludes with the Russians, welcoming a renowned dance ensemble founded by Sergei Radchenko of the Bolshoi Ballet. The group will present Prokofiev's Cinderella. Expect gorgeous costumes, sumptuous scenery and an enthusiastic score. For less formal melodic fare, visit Old Town during Arts Alive!, when the Victorian waterfront district features, besides visual and culinary works, some of Humboldt's finest sounds. Folk, rock, jazz and more resound from historic shops, alleys and plazas. One is likely to tap and sway to a singer sporting giant sideburns and an accordion crooning Elvis songs, a teenage guitar trio doing power rock or a hillbilly combo jamming on strings, especially around the heart of the action, the Gazebo at Second and F streets. The popular community arts walk takes place the first Saturday of each month from 6 to 9 p.m., or longer if you find the right alley or backroom (707-442-9054). Eight miles north in Arcata, Humboldt State University offers tons of free and inexpensive music, as faculty and students put on recitals for horns, winds, pianos, guitars, Calypso bands, jazz, drums, singers and more. Most take place in the music department's Buildings A and B. Especially notable concerts, often by visiting virtuosos, take place in Fulkerson Hall. The music buildings are near what could be considered the main quad, across from the Van Duzer Theatre. Parking is tricky when classes are in session but evenings and weekends free up spaces on and near campus (707-826-3531 or www.humboldt.edu). Richard Stenger is media relations manager for the Humboldt County Convention and Visitors Bureau.